Both sexes fully winged. Body and legs dark brown, tarsi paler, antennal segment III yellow, IV light brown; forewings brown with sub-basal white band. 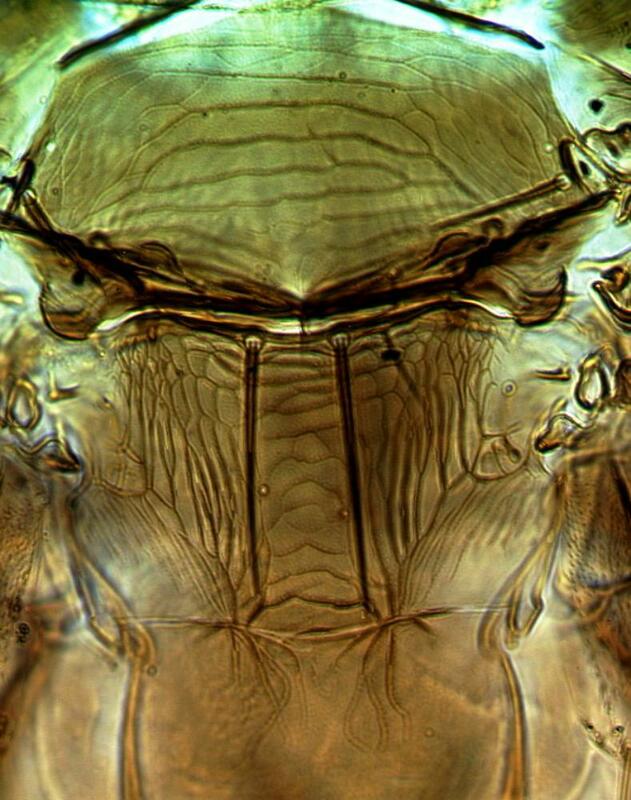 Head wider than long; three pairs of ocellar setae present, pair III as long as distance between compound eyes, arising on or just outside anterior margins of ocellar triangle. Antennae 8-segmented; segments III–IV constricted to apex, sensorium forked; segment VI sensorium with enlarged oval base. Pronotum with two pairs of long posteroangular setae. Fore tibial apex ventrally with small claw near outer margin, also seta-bearing tubercle near inner margin. Metanotum weakly reticulate; median setae long, arising at anterior margin; campaniform sensilla present. Fore wing first vein with setal row variable, commonly with small sub-apical gap; setal row complete on second vein. Abdominal tergites with no sculpture medially; tergite VIII with posteromarginal comb broadly interrupted medially, with long slender microtrichia laterally; ctenidium not developed, but anterolateral to spiracle is a small group of microtrichia. 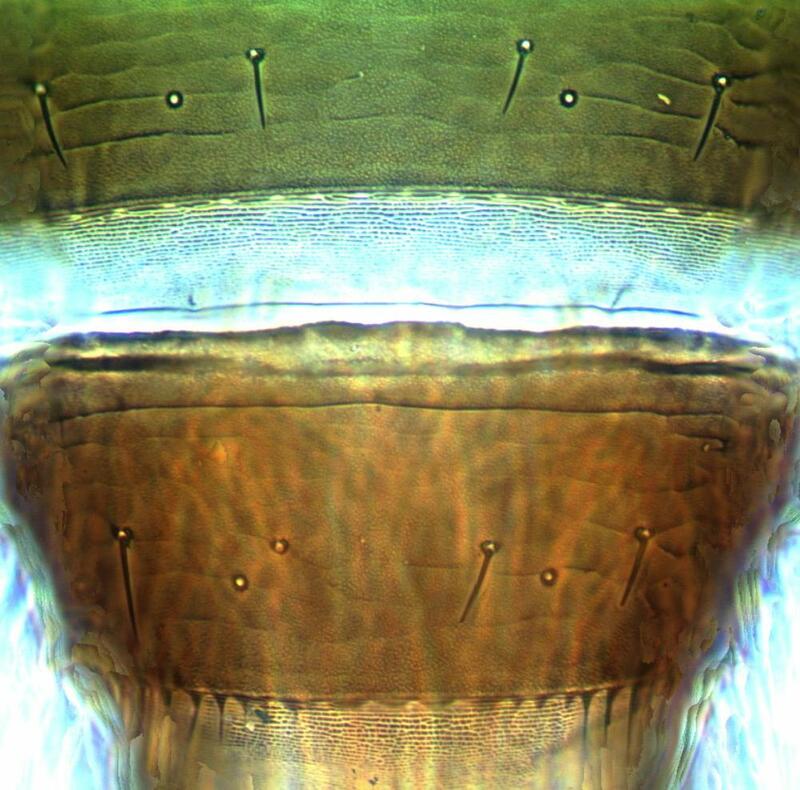 Sternites without discal setae. 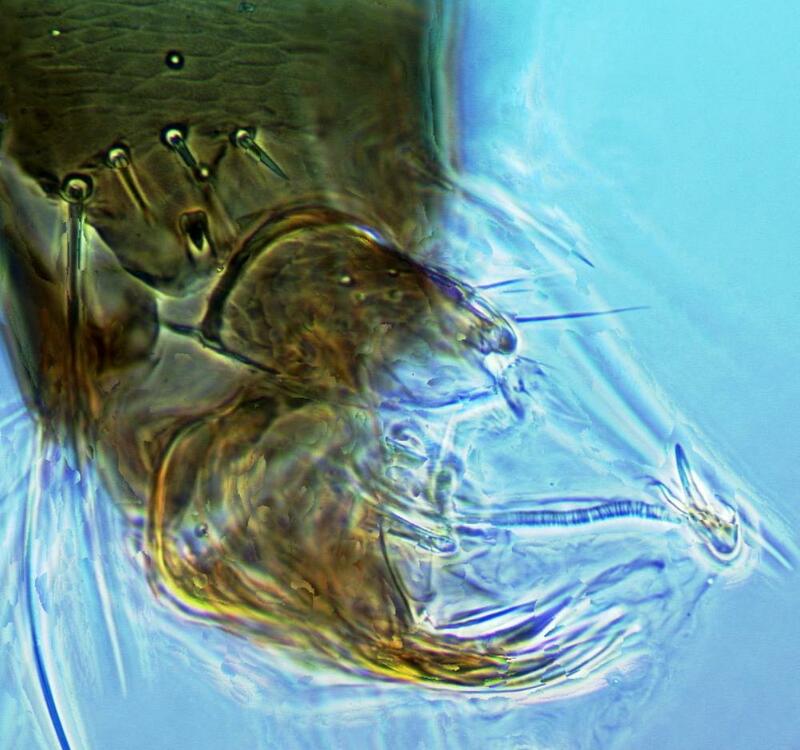 Male smaller than female; tergite IX with pair of small stout setae posterolaterally; sternites without pore plates; extruded genitalia bearing two stout spines each arising from an elongate trachea-like structure. 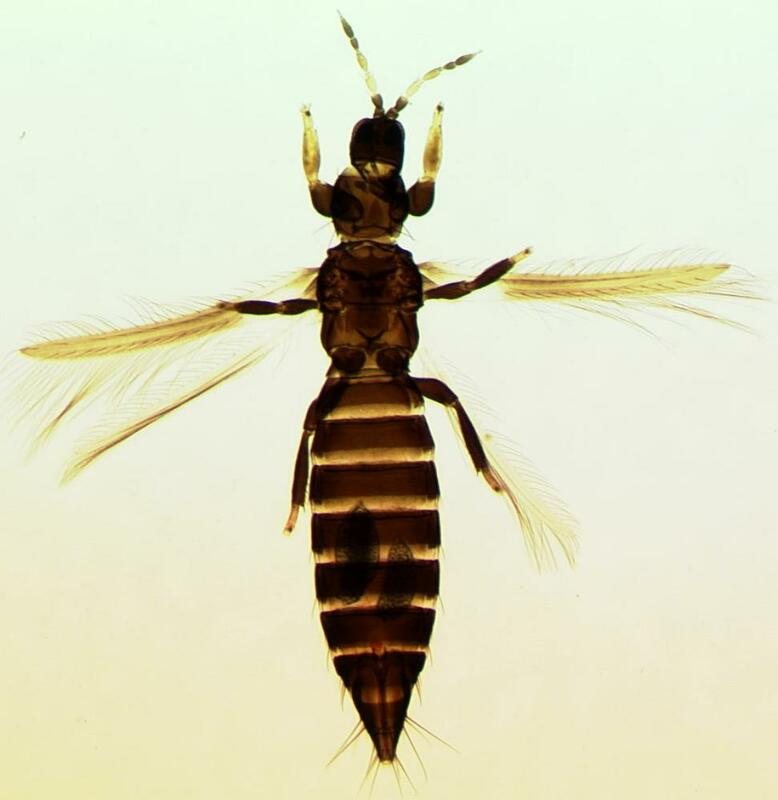 The genus Odontothrips currently includes 32 species, of which only O. pictipennis from eastern USA is native to North America (Pitkin, 1972). 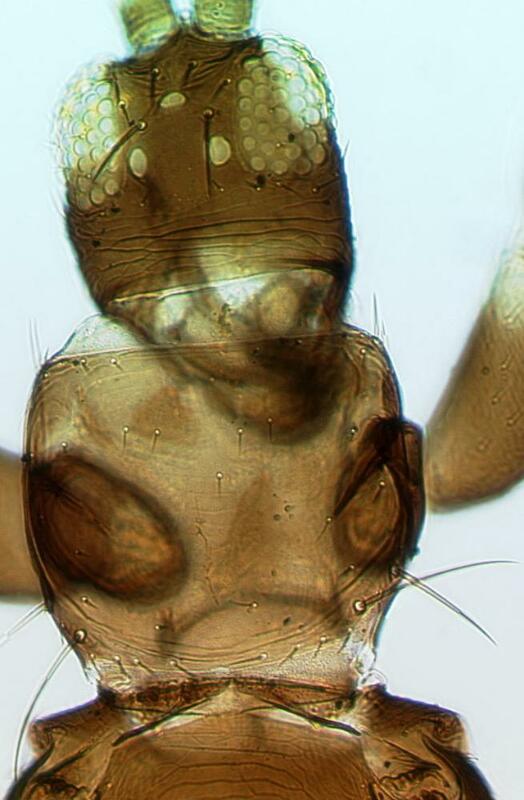 Species of Odontothrips breed only in the flowers of Fabaceae, with the exception of O. pictipennis. Flowers of various Fabaceae, including Lotus, Genista, Lupinus, Trifolium. Associated with flower damage in commercial lupin crops in Western Australia. Widespread in Europe, but apparently less common in the South; in the USA, recorded from Virginia, Iowa, Utah, Colorado, Oregon, Washington and California.